Does delicacy have a name? I think several, but supposing the answer is no it's name must be Anna Tivel. A singer with such a soft spoken vocal performance it's almost fragile. All the music that is made around her voice expresses the same delicacy. With that nearly all that is to be said about Heroes Waking Up has been said, were it not that I like to tell a bit more. Anna Tivel lives 9 hours in time difference from me in Portland, Oregon. She released one album before this one, 'Before Machines', in 2014. Her third will have to be called "Before Artificial Intelligence" I suppose. Luckily time difference does not say anything about quality and recognising beauty. Both can be found in abundance on Heroes Waking Up. Fans of singers like Gretchen Lohse, Amanda Pearcy, Natalie Ramsay or the early Joni Mitchell to drop a more famous name, will all be able to find something of their liking here. Musically she touches on many male colleague as well. The first album by Nels Andrews, 'Sailing Shoes', comes to my mind foremost. In fact, despite the distance, she feels so close. In the way everything is mixed, it is as if Anna Tivel is singing into my ear, only for me. True musical intimacy. 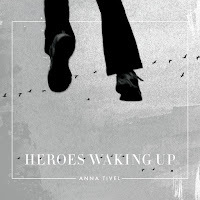 On Heroes Waking Up Anna Tivel shows herself to be a serious singer-songwriter. Laughs are not for the taking. Listening with true intent is recommended. It reveals the depths, glowing warmth and lovingness of the songs and music. All this and more can be found on this album. Anna Tivel has charted a course with producer Austin Nevins who worked with Josh Ritter, Anaïs Mitchell and The Mountain Goats, that ensured straight sailing. Everything with strings one hears is produced by Nevins, who is pivotal in how the album sounds. (The violin is Tivel's playing, the bass by Sam Howard.) There is some help with all the little extras, but strings and voice is what make the bulk of Heroes Waking Up. They take it slow, like there is no tomorrow and no rush to get where ever whether on or offline. This is so pre-1970s. 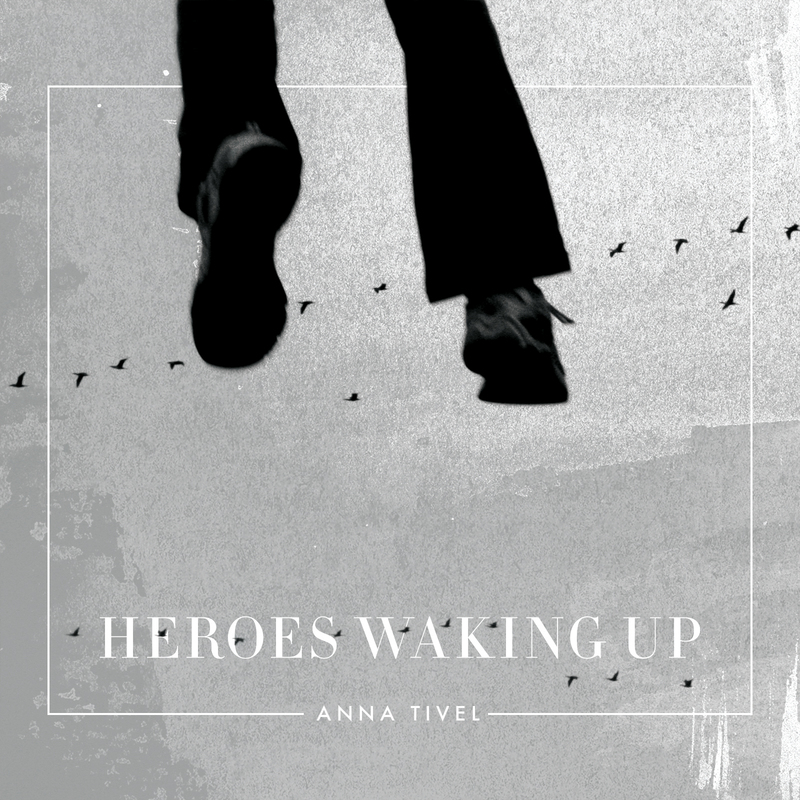 Anna Tivel is a storyteller. Do not expect songs with verses and choruses necessarily, but full stories and contemplations like folksingers of old used to do. The chorus is used to underscore what is said before and not the part where everyone joins in happily. Whether the stories are personal, close to her person or just made up or observations, I don't know. Having said that a song like 'The Lines And The Tide' must come close as she sings about fishing and getting her father safe home. "Don't go closing his blue eyes". It doesn't get more personal than that, does it? This song holds so much beauty it nearly hurts. I've come to the point that I have written enough. There is simply nothing I can add that would add to the picture. Anna Tivel is able to touch someone deeply with her songs as long as you open yourself to her and the songs. Without any noticeable effects, the pureness of Heroes Waking Up all scores a maximum effect. It's your turn to be touched.